datapine is filling your bookshelf thick and fast. Previously, we discussed the top 15 big data books you need to read, followed by our rundown of the world’s top business intelligence books as well as our guide to the best SQL books for beginners and intermediates. Now that you’re sold on the power of data analytics in addition to data-driven business intelligence, it’s time to take your journey one step further by exploring how to effectively communicate vital metrics and insights in a concise, inspiring, and accessible format through the power of visualization. Data visualization, or ‘data viz’ as it’s commonly known, is the graphic presentation of data. These aesthetically striking portrayals are the most effective way to succinctly translate large segments of data and complex information to a wide audience. Successful visualizations are aesthetically beautiful, providing layers of detail that generate deeper dimensions of insight and whole new layers of understanding. They can be fun and interactive, too. The field of online data visualization is growing, and whether you’re a data viz expert or just getting started, there is a wide range of books that will help you learn new skills and remain ahead of the pack. Exclusive Bonus Content: Ready to Master the Art of Data Visualization? Download our pocket-sized summary and become a data viz guru! Not sure where to start? A mere Amazon book search of this topic returns over 15k items. That’s a colossal number of data visualization books. And while some of them we consider being the best books on data visualization, some are really not. But don’t fret, because we’ve conducted the research and reading on your behalf, refining our findings to create our list of the world’s best 18 data visualization books. We actually have 19 favorites, but we gave you a head start by including “Data Strategy: How To Profit From A World Of Big Data, Analytics And The Internet Of Things” by Bernard Marr at the top of our best books on business intelligence. 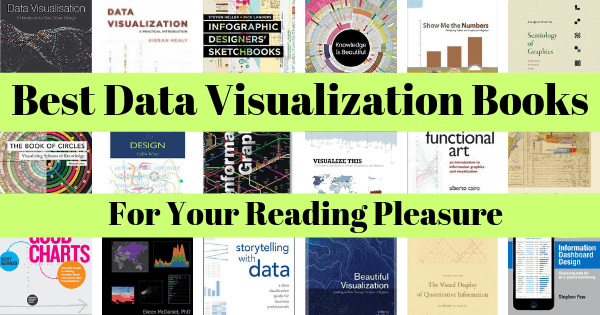 This list is in no particular order, but what we promise you is that these are 18 of the best books on data visualization available today, and you’ll find there’s something for everybody. Here we’ve included prose based on visualization history, theory, psychology, practical implementation as well as intricate graphical presentation tips and a visually stunning coffee table book for inspiration. But before we delve into our list of books on data visualization, here are some facts and figures for your inspiration. 90% of the information transmitted to the brain is visual – a testament to the power and potential of data visualization. People are 30 times more likely to absorb high-quality infographics than plain text. Studies suggest that if a scientific claim is presented in only words or numbers, 68% of people will deem the information to be accurate and truthful. But if the same insights or metrics are presented in a simple graph, the number rises to 97%. A business intelligence strategy that leverages data visualization will provide an ROI of $13.01 back on every dollar spent. Now that we’ve established the importance and potency of visualization in the digital age, let’s take a look at our rundown of the best data visualization books. You can’t make a list of data visualization books without including Edward Tufte. Tufte is considered to be one of the foremost pioneers in the field and this really is one of the best books on data visualization in existence. 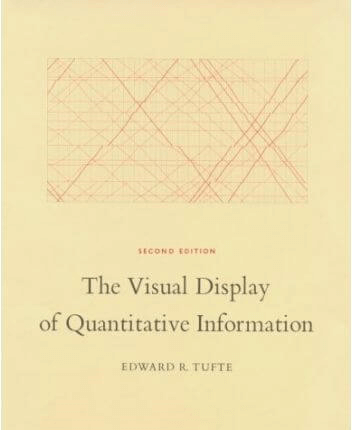 “The Visual Display of Quantitative Information” is one of his most famous data visualization books. The book covers the theory and design of data graphics and provides 250 illustrations of best and worst examples. Though printed in 1983, it remains a classic and a bestseller on Amazon. Tufte provides an astute introduction to core visualization theories, building on these concepts throughout the book, and frankly, this should be on every data viz bookshelf. You may be able to create complicated, technical, and colorful visualizations and load them with a ton of data. But, if your target audience can’t decipher them, what’s the point? In the end, visualizations are meant to convey or highlight what’s happening with your data – they’re supposed to tell a story. That is why “Storytelling With Data” is on our list. Cole Knaflic’s mission is to teach readers. “Don’t simply show your data – tell a story with it,” and her offering, which we consider to be one of the world’s best data visualization books, demonstrates how to go beyond conventional tools to reach the root of your data while using a dashboard storytelling process to create an engaging and informative presentation in a way that is accessible to everyone. If you’re searching for a book that combines theory and practice in a comprehensive and hands-on approach to visualization, you need to have this one on your bookshelf. Written by a professor of sociology at Duke University, this book provides researchers and students instructions on using R and ggplot2 in an innovative and coherent manner. 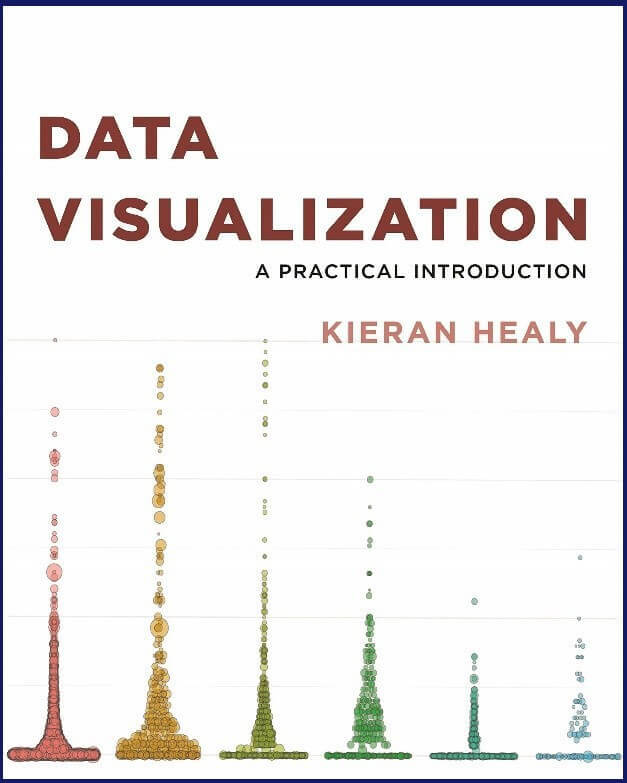 Whether you are a beginner or an advanced user of data, statistics and visualizations, this fun and readable book, authored by Kieran Healy, will show you the unique world of visualizations that can be effectively used for communicating information in a visual way. 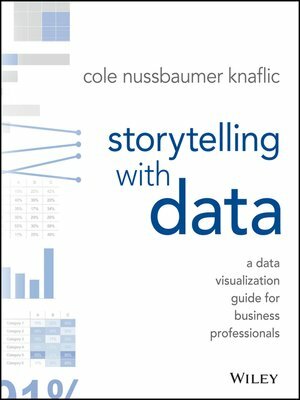 Published on May 2016, this is one of the most relevant visualizing data books on the market. What we like about “Good Charts” is that it’s accessible for the data viz beginner but just as helpful for the more advanced dashboard design user. Berinato highlights the important point that data viz is no longer being left just to the specialists: data scientists and professional designers. A new generation of data visualization tools, like datapine, and massive amounts of data make it easy for the layperson to create visualizations that communicate ideas far more effectively than spreadsheets and PowerPoint charts. 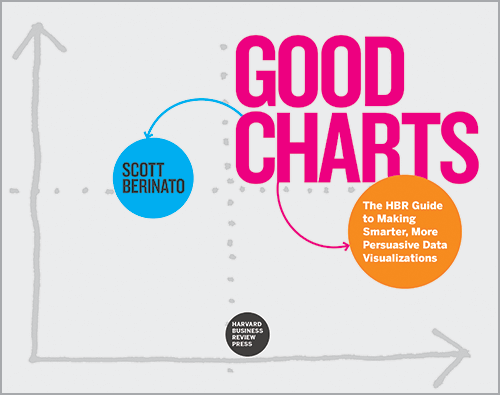 In “Good Charts,” Berinato provides an invaluable guide to how visualization works and how to use data viz to influence and persuade. This book is a must-read. 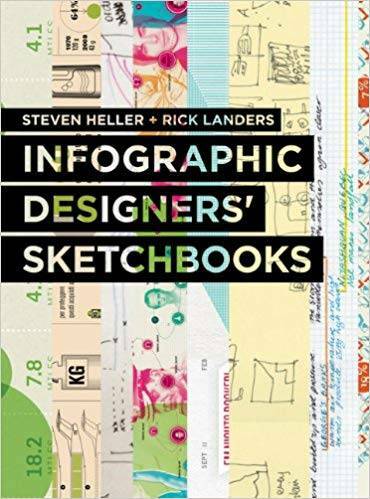 Focusing less on data analytics and more on eye-grabbing presentation, “Infographics Designers’ Sketchbooks” is a data visualization book that will inspire your creative efforts from start to finish. What’s particularly impressive about this data visualization book is the fact that it offers a rare glimpse into the minds of 50 of the world’s most prolific graphic designers through their personal sketchbooks. By examining the creative process of the planet’s best visualists, you’ll be able to spot the link between data and drawings. As a result, you’ll gain the tools and inspiration you need to create a wealth of stunning infographics that will help you present critical information that enlightens and creates value rather than excluding and causing confusion. Don’t let the lacklustre book cover fool you, or as they say: don’t judge a book by its cover, because this visualizing data book has plenty to offer in the way of visualization. Few guides are so helpful in providing a wide range of good and bad dashboard examples. Moreover, author Stephen Few offers a great introduction to the principles of data visualization and design theory. If you wonder which graph displays data in top-to-bottom fashion, then this book is for you. 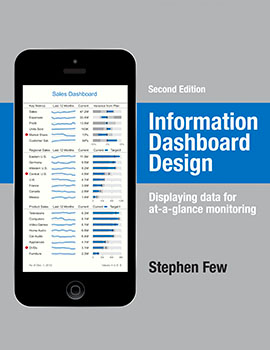 Oh, and if you become a Stephen Few fan, he has multiple visualization and analytics books to check out. Boasting near flawless reader reviews on Amazon, this graphically-driven book on data visualization makes an excellent companion when it comes to thriving in the digital age. 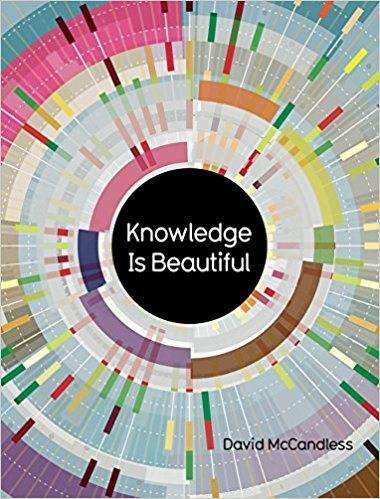 “Knowledge is Beautiful” is celebrated data-journalist David McCandless‘ best-selling book on the subject, and its concept is simple: using sensational visuals to reveal surprising insights into how the world really works and using this knowledge for your own innovations. If you’re looking to transform head-turning, jaw-dropping aesthetic concepts that connect with others on a meaningful level while yielding real results, this is one of the best data visualization books you will ever own. 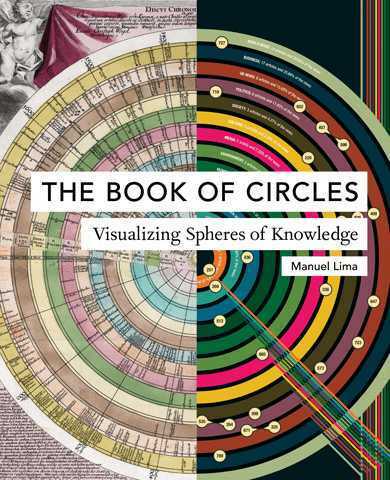 The follow-up to the critically-acclaimed “The Book of Trees and Visual Complexity”, this offbeat and wildly valuable book on data visualization delves deep into millennia of circular information innovation and design. Coupling a kaleidoscopic array of inspirational visual designs throughout the ages with stunning modern-day examples of visualization in action, author Manuel Lima connects the enduring concept of the human relationship with visuals and its application to data in a way that is exciting, engaging, and practical in equal measures. 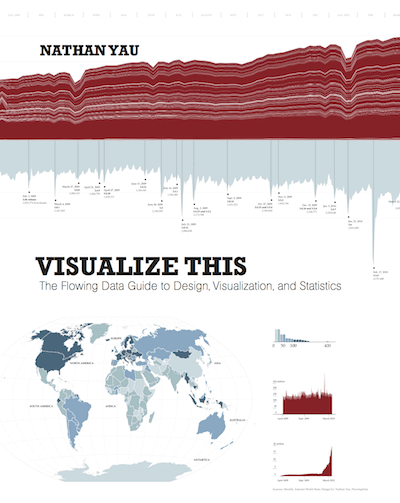 One of the visualizing data best books available today. This book is part of O’Reilly’s “Beautiful” series, with each book a collection of essays from people who work in the field. “Beautiful Visualization,” authored by Julie Steele and Noah Iliinsky, describes the design and development of some well-known visualizations by examining the methods of 24 visualization experts. The importance of storytelling through a simple visualization exercise. Color and how it conveys information that our brains recognize before we are cognizant of it. Uncovering a method to the madness of air travel with a civilian air traffic visualization that is beautifully portrayed. 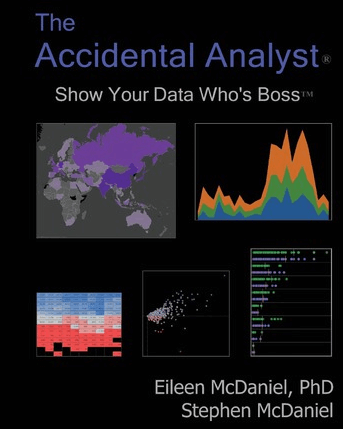 Next in our rundown of visualizing data best books is The Accidental Analyst. Is the term ‘data analyst’ suddenly part of your job description? As visual analytics tools have become an increasingly necessary part of the business world, many of us are rushing to get up to speed and use important digital metrics to their optimum capacity. If you suddenly have access to a wealth of data but aren’t sure what to do with it, you should crack open this book. McDaniel provides a clear, step-by-step framework using illustrated examples to help you understand and apply the analytic process to find answers to real-world questions and deliver an effective and visually impressive analysis. Data journalist Alberto Cairo is a great example of how data visualization books don’t have to be dry. In “The Functional Art,” Cairo shows how to produce beautiful and engaging work all while sticking to data viz best practices. 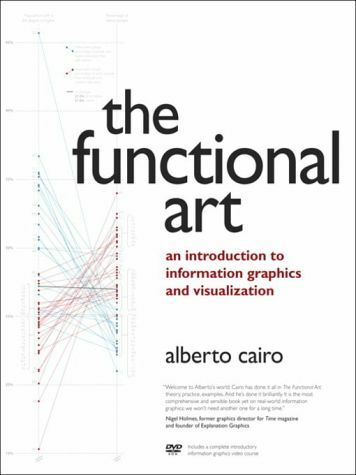 Once you’re finished with “The Functional Art,” you can follow it up with Cairo’s more recent release, “The Truthful Art: Data, Charts, and Maps for Communication.” His blog on visualization, infographics, and data journalism is also a valuable resource. 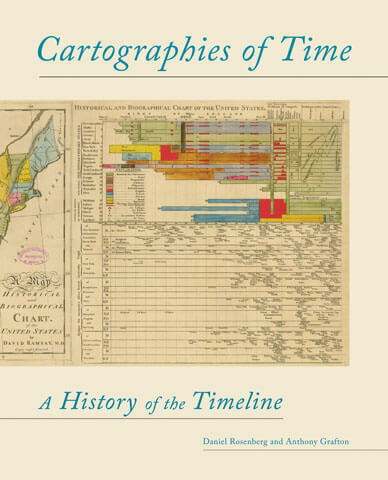 This book won’t help you get your business intelligence dashboard up and running for next week’s board meeting, but history buffs will be enthralled by the comprehensive history of graphic representations of time in Europe and the United States from 1450 to the present. The accompanying graphics prove that visualization isn’t just a modern-day science. We have been striving to draw time long before the conception of dashboards! One of the most valuable visualizing data books of recent times, data viz guru Nathan Yau provides another great practical guide on visualization and how to approach real-world data in his masterpiece, “Visualize This.” We recommend this book in color to take full advantage of the step-by-step tutorials on how to visualize and tell stories with data. Looking for inspiration? Or just love data viz as an art? 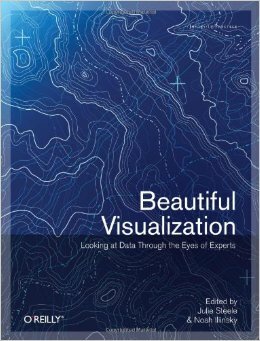 One of the most beautiful data visualization books is a great coffee table book or one to keep next to your desk for when you’re in a data viz rut. 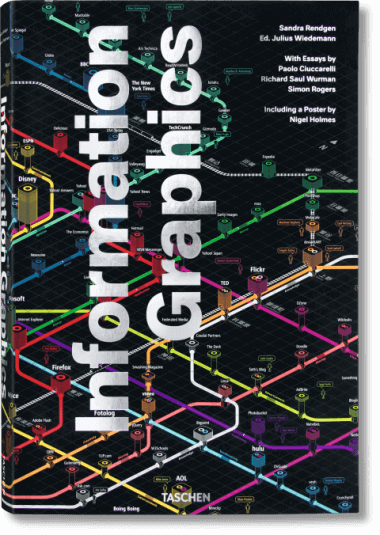 This book has a little of everything, providing over 400 examples of information graphics from around the world, covering journalism art, government, education, business, and more. The introductory essays on data visualization history and theory as well as data journalism are also a good read, and the accompanying images worth a long look. This book isn’t a how-to for visualization. It’s not even specifically about data viz. In fact, it’s an astute study into the developing science of human visual perception and design – and it’s a must-read. 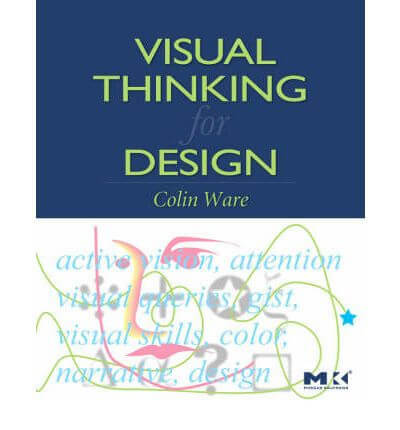 Designers of all kinds, including visualization designers, will swiftly discover that this book provides practical guidance on visual and cognitive science that they can utilize. Having a better grasp on design and cognitive psychology will help you understand how your end users are perceiving your work. This understanding will make you a better visualization designer. We round out this list with another visualization pioneer, Jacques Bertin. Originally published in 1967 in French, Bertin’s Semiology of Graphics holds a significant place in the theory of information design. 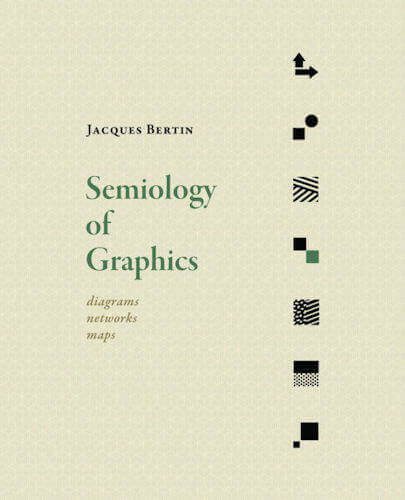 Founded on Jacques Bertin’s practical experience as a cartographer, Part One attempts to synthesize principles of graphic communication with the logic of standard rules applied to writing and topography. Part Two brings Bertin’s theory to life, presenting a close study of graphic techniques, including shape, orientation, color, texture, volume, and size in an array of more than 1,000 maps and diagrams. 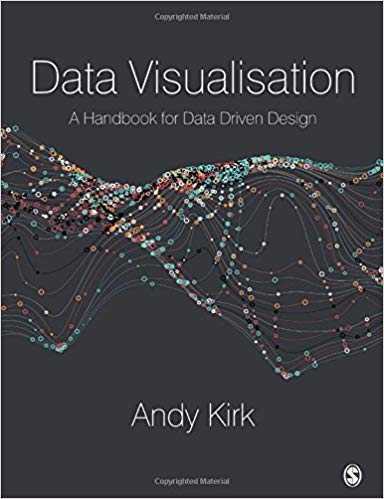 Voted one of the “six best books for data geeks” by The Financial Times, “Data Visualisation: A Handbook for Data Driven Design,” authored by Andy Kirk, offers a clear, concise, and digestible introduction to the field. With a host of hand-picked data visualization examples as well as a wealth of real-world tips, methods, approaches, and insights, this really is one of the best books on data visualization for those getting started. The language is accessible, the advice is practical, and in addition to a physical copy of the book, you will also gain access to comprehensive online data analysis tools and support, which includes a selection of exercises so you can practice your skills. 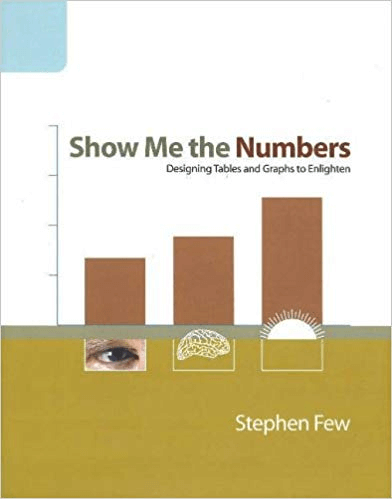 While this is by no means a recent visualizing data best book (and the second in our list from the author, Stephen Few), if you’re looking to sharpen your list of data visualization books, this really does make essential reading. Digging deep into the foundations of visualization, this seminal book provides an invaluable real-world guide to designing tables and graphs to create narratives with your data and present it to your audience in a format that will yield a positive response. If you’d like to start with the building blocks that will help your visualizations shine bright, this is a book that you should read from cover to cover. Now, it’s time to step away from those Excel spreadsheets, forget those static tables, and start telling a real story with your data. As you may have gathered, data visualization is the best way to squeeze every last drop of value from the metrics and insights that are available at your fingertips, and now that you’ve got the tools you need for success, it’s time to get going. Do you want to get a head start on deciding what data visualizations you should start to build while waiting for your books to arrive? Check out our 14-day trial, completely free!